sailboat. : Sharing The Love! A little while ago I opened up a portion of my sidebar to a few monthly sponsors & I wanted to be sure to tell you all about them, because they're pretty fabulous and I would just love if you could go and show them even more love than you show me! I've spent the month getting to know them so I can share with you why I think you should get to know them too! If you clicked through at the start of the month maybe you can share with me in the comments which of their posts you have particularly enjoyed recently. With the festive season in full swing, Fiona from Sugar For My Honey has only posted a few times in the last few weeks, but I've been spending this month reading back through her archives and I'm keeping my fingers firmly crossed that I'll get to read a new post from her very soon. Fiona's lovely personality really shines through within her writing and every post is a real pleasure to read. She's also a very crafty lady, her knitted bobble hats look amazingly cosy and she looks to be pretty incredible in the kitchen too because her butternut squash soup looks delicious! Leanne from Leanne Marie is one of those truly lovely ladies. You know the ones, they don't come along very often but you know that if you're ever lucky to meet one, you'll be able to count on them whenever you need them. Leanne's blog is a wonderful & perfectly balanced mixture of beauty, fashion and lifestyle posts. I can't click over to one of her wish lists without leaving with something else added on to my own and her beauty posts and reviews are so well thought out. I particularly liked the autumn blush post she published last week, even though I definitely don't need any more blushers! Leanne also recently shared some pictures from her beautiful wedding, congratulations once again, Leanne, such a stunning bride! 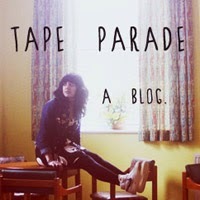 Laila, the lady behind Tape Parade, is someone I would describe as a thoroughly interesting person. She is someone I would love to be friends with and know in real life, because she seems like someone who you'd be able to have a good ol' interesting chat with. Laila is an extremely talented musician, like seriously talented and I'm not sure there's an instrument in existence that she can't play! My favourite posts from Laila are pictures of days out, which are written in such a way that you actually feel like you were a part of it too as you're reading, it's like talking with an old friend over a nice cup of tea. She also has a pretty amazing sense of style. You know, I'm not convinced there's anything she can't do! One of my favourite posts was about her trip to the Museum of the History of Science, somewhere I would now very much like to visit! 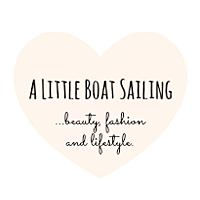 A Little Boat Sailing, written by the beautiful Amy, has become one of my favourite beauty blogs over the last few months. My favourite thing about Amy's blog is that all of her post are so well thought out, every review contains everything you'll need to know in order to decide whether a particular product is something you would like to try or not. Amy's reviews are something I trust completely and I think we have quite similar taste in beauty products so I'm always left with something to add to my wishlist after spending a few minutes over in her space! She's also incredibly talented at nail art! Seriously, look at all these amazing designs, I especially love her Christmas & Easter themed nails - they're adorable! 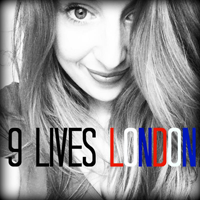 It's pretty safe to say that I wish I knew Cat from 9 Lives London in real life. She has such a beautifully positive outlook on life, I definitely agree with her that there are few moods that can't be lifted by blowing bubbles and silly dancing! She also has a wonderful sense of humour and her posts very often leave me with a huge smile on my face. Her space on the internet really is a lovely way to spend a few minutes of my day - you're amazing, Cat! Don't ever forget that! And Christmas at Cat's house sounds so completely wonderful, I wonder if they'd notice if an extra person appeared one year - dancing around the kitchen doing the dishes is definitely the best way to make something potentially very dull, incredibly fun! Becka from This Is My World first advertised with me last month and her blog is most definitely still one of my favourite reads. Her style of writing is incredibly relatable and I feel like I get to know her a little more with each post she publishes. She shares her beauty favourites, new purchases & outfits along with little bits and pieces about her life. At just 19 it's so wonderful to see everything that she's accomplished so far! My favourite post from Becka this month was where she shared some of her bargain eBay purchases - I really love the acrylic lipstick holder and I can't believe it was less than £3! I'm already looking forward to future posts from Becka, she's truly lovely and deserves every success. Miho from Wander To Wonder also advertised with me for the first time last month and it has been a pleasure to have her again this month too. Miho has a truly beautiful soul and her blog is a true reflection of her, her life and her loves. Having recently got married to her sweetheart, they have just got back from a stunningly beautiful honeymoon in The Maldives and I've been experiencing serious holiday envy from looking at the photographs! If you're looking for fabulous recommendations for places to go in London, if you would like a peek into the life of one of the nicest people I have ever 'met', or if you would just like to add an extra pop of positivity into your life as you drink your morning coffee, Wander to Wonder is all of that and so much more. 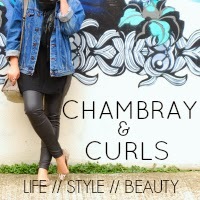 Finally this month I was thrilled to have the ever beautiful Laura from Chambray & Curls for a second month. Laura is a total sweetheart, she always leaves such thoughtful comments and I'm so, so happy that our online paths have crossed through the bloggersphere. Laura has the most wonderful style, she manages to really let her personality really shine through her fashion choices and for that reason I simply adore all of her outfit posts. I know she has been super busy in recent weeks in the run up to Christmas and hasn't been able to post as much as she would have liked, but I'm pretty excited to hopefully see a little more of her beautiful face on my dashboard over the next few weeks! Thanks for the info & reccomendations Jennie, I've had a look at a few of these and they're great finds! Definitely following a few of these ladies now ! Thanks for the suggestions ! Thanks for the suggestions Jennie, will definitely have a browse! Wishing you a very Merry Christmas Jennie! Hope you have a lovely xmas!